we carry a huge selection of designer sunglasses from tom ford, gucci, rayban, michael kors, coach, marc jacobs, hugo boss, versace, vogue, jimmy choo. eye exam, optometrist, prescription glasses, prescription sunglasses. ancaster, hamilton, dundas, waterdown. Polarized sunglasses have been popular for years with boaters and fishermen who need to reduce reflected glare from the water surrounding them. 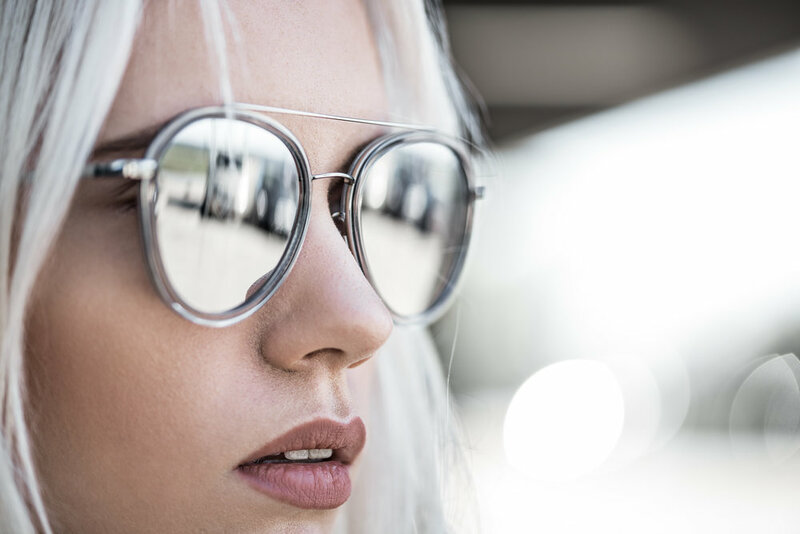 But now that many others who spend time outdoors have discovered the benefits of polarized lenses, interest in these types of sunglasses has soared. Besides boaters, outdoor enthusiasts who benefit the most from polarized sunglasses include skiers, bikers, golfers and joggers since all of these activities require the elimination of glare for optimum safety and performance. Polarized sunglasses can be helpful for driving because they reduce glare-causing reflections from flat surfaces, such as the hood of the car or the road's surface. Some light-sensitive people, including post-cataract surgery patients and those continually exposed to bright light through windows, may also choose to wear polarized sunglasses indoors. Polarized lenses contain a special filter that blocks this type of light, reducing glare. Mirrored tint available now available in Rx lenses. The mirror coating decreases the amount of light passing through the tinted lens by a further 10–60%, making it especially useful for conditions of sand, water, snow, and higher altitudes. Essentially, sunglasses with gradient lenses give you a subtle, understated look that is classy and stylish. They do have some practical advantages in that they offer great protection from the suns harmful rays while the lighter bottom half allows you to see the dashboard or in front of you as you walk.